Adoption is defined as the legal and social process by which a child born to one set of parents becomes the child of another parent or parents. The decision to adopt is a very important one and should be based on clear and accurate information. The Department of Human Resources has the responsibility of securing adoptive homes for children in foster care who become available for adoption through termination of parental rights. A family can exit this process at any point based on their family’s interests or needs. 1. You must be willing and committed to being a parent! 2. You must be over 19 years of age. 3. If married, marriage must be of at least 3 years duration. 5. You must have adequate housing & space for the child or children adopted. 6. You must be healthy enough to meet a child's needs. 7. You must be willing to undergo a thorough background check. If you feel adoption is something you and your family are deeply committed, you should call 866.4AL.KIDS. At your request, an Application to Foster and/or Adopt will be mailed to you. After your Application to Foster and/or Adopt is received, you will be contacted about attending Group Preparation and Selection (GPS) meetings. GPS is a program designed specifically to educate potential adoptive and foster parent families on a variety of pertinent topics on their upcoming adoption experience. A GPS class generally meets weekly for 10 weeks. 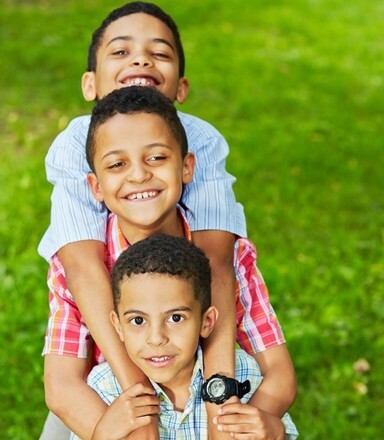 Once you complete your family profile and home study, this information will be evaluated and a determination made on your application as an adoptive resource. Adoptive placements are made by the Alabama Department of Human Resources' State Office of Permanency. Once you are selected as a potential resource for a child or children, you will be able to review background information. If you decide that you may be able to parent the child or children offered, you will meet the children in pre-placement visits. After a child has been placed successfully in your home for at least three months, the next step in the adoption process is the sanction by the court system that the child is legally your own. The social worker will give you the Department of Human Resources' Consent to Adopt so that you may began the legal process. The legal confirmation of your adoption is not the end, but rather the beginning of an experience that is unique. Alabama Pre/Post Adoption Connections (APAC) is available to you and your family on your journey.